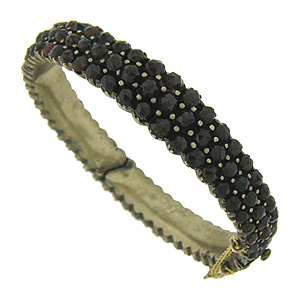 A triple layer of round faceted garnets cover the surface of this breathtaking antique bracelet. The push clasp is complete with safety chain. 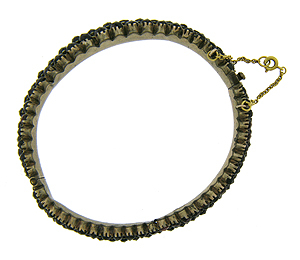 The interior of this bracelet measures 6 1/2", 1/2" wide. Circa: 1925.